Mark Ernestus Meets Ben Zabo - "Wari Vo Dubwise" b/w "Dana Dubwise"
Glitterbeat Records is a brand-new record label specialising in vibrant music from Africa and beyond. It is a subsidiary of the long-established Glitterhouse Records. Tamikrest, Ben Zabo, Dirtmusic, as well the Lobi Traore reissue project - all previously under the Glitterhouse umbrella - will move from the parent company over to the new label. Joining them will be the first new Glitterbeat signing, Samba Touré. 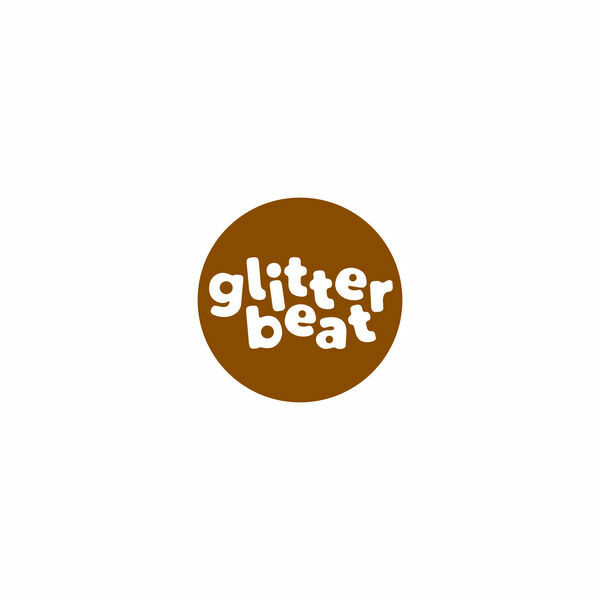 The label manager for Glitterbeat is Chris Eckman, who as an artist (The Walkabouts, Dirtmusic) has been a longtime member of the Glitterhouse family, and has also produced albums by Tamikrest, Ben Zabo and Lobi Traore. Glitterbeat Records is committed to global sounds and artists that don’t necessarily rubber-stamp our pre-conceptions of what regional music sounds like. We live in a world of ever increasing intersections and the global musical conversation does not operate according to straight, predictable, and easily delineated rules. It is a conversation that is being reinvented and revolutionised each day. The debut release on Glitterbeat, kicking off a busy 2013 release schedule (see below), will be a limited edition Mark Ernestus Meets Ben Zabo 12" single, out on 25 March 2013. It features two dubbed-up remixes by electronic music explorer Mark Ernestus (Basic Channel, Rhythm & Sound, Mark Ernestus Presents Jeri-Jeri) of songs pulled from Ben Zabo's self-titled and highly touted debut album of frenetic Malian Afro-rock. By paring down Zabo's tracks to their rhythmic, hypnotic essentials, Ernestus has created an inspired soundscape. These "dubwise" mixes, "Wari Vo Dubwise" and "Dana Dubwise", somehow succeed in feeling both organic and reinvented. They are not dogmatic; they are a real-time conversation between two music-makers adept at stretching and morphing boundaries. They are tracks that completely live up to their name: Mark Ernestus Meets Ben Zabo. Berlin-based Mark Ernestus is one of the real innovators in electronic music in the last 20 years. With partner Moritz von Oswald, Ernestus spearheaded two legendary projects: the minimal techno pulse of Basic Channel and the avant-roots-dub of Rhythm and Sound. Since the mid-2000s Mark has increasingly focused on African music. 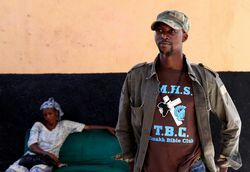 In addition to his remixes for Konono No.1, Tony Allen and the South African electro group BBC, Mark dropped two 12"s last year made in collaboration with the Senegalese band Jeri-Jeri. Ben Zabo is a relatively new name but he is already one of Glitterbeat's rising stars. Belonging to the Bwa ethnic group, a culture whose musical traditions are more poly-rhythmic and energetic than most Malian music, Zabo released his first album in May 2012. Backed by a full-throttle 7-piece band, Zabo's music pleads for love and justice while barnstorming the dancefloor with infectious Malian Afro-beat and Afro-rock. The album was very well reviewed and ended-up on several African music year-end top-ten lists. Zabo and his band are expected to tour Europe in July. This 12" release is limited to 500 copies. But don't despair if you don't manage to get a copy in time: the mixes will also be available digitally and on CD on Ben Zabo's "Democratie" EP out this summer. Electronic music legend Mark Ernestus (Rhythm & Sound, Basic Channel) drops two dub-funk mixes of songs from Ben Zabo’s highly touted debut album. 'Albala' is a dark, electrified, hypnotic meditation on the current crisis in Northern Mali and the most powerful and emotional album to date by former member of Ali Farka Toure's band, Samba Touré. Recorded in September 2012 in Bamako at Salif Keita's Studio, the album was made with a cavalcade of collaborators including the Ben Zabo band, Samba Touré, Zoumana Tereta & Aminata Wassidje. Dubbed-out & respectfully morphed. As a build up for Ben's summer European tour this 35-minute EP will include three new songs, the Mark Ernestus mixes and a dance-floor heavy remix of "Dana" by Harmonius Thelonius. Massively anticipated, this will be the third and most adventuresome album to date by the young Touareg desert blues/ rock band. A recently unearthed document of the late Malian guitarist Lobi Traoré playing live in a Bamako nightclub in 1995. Raw and unforgettable.